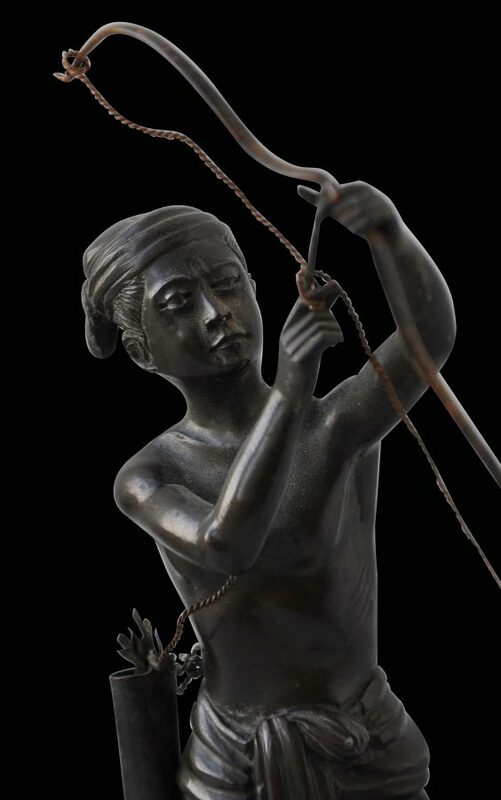 Figurines such as this example were bought by British administrators and their families in Burma as souvenirs and gifts for friends on their return home. 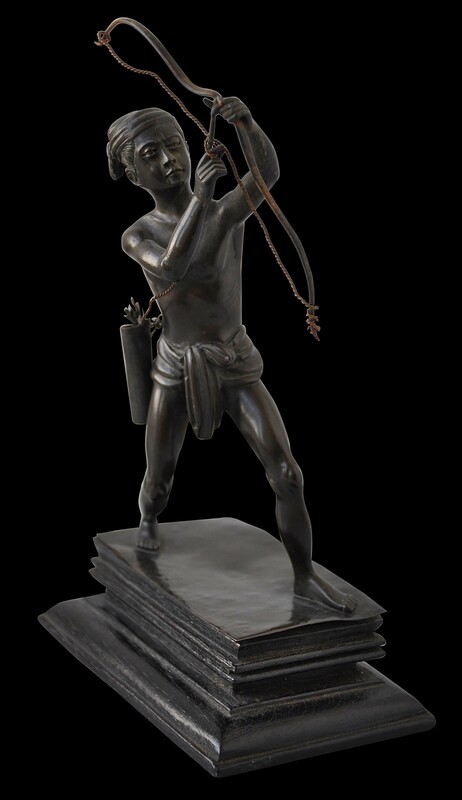 As Sylvia Fraser Lu (1994, p. 143) says, some examples barely rise above tourist kitsch but others such as the shown here, with its sense of proportion, realism and attention to detail is a minor masterpieces of bronze casting. 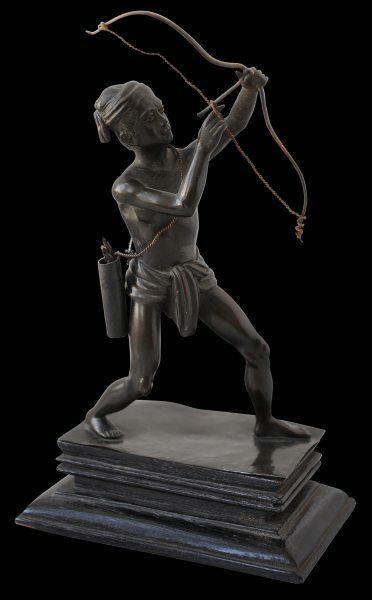 This figure of an archer with his bow poised and with his muscular arm ready to pull the arrow back for firing. 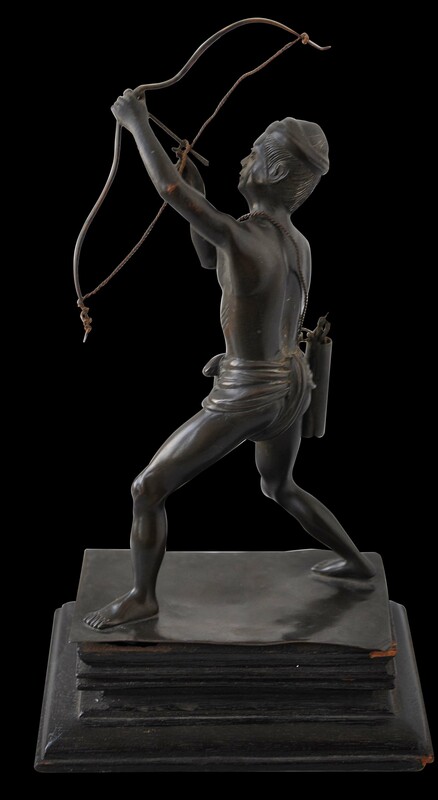 He wears his traditional longyi pulled between his legs and tucked over the front in the manner that Burmese do when they wish to engage in some type of athletic activity, a head cloth, and a quiver of arrows suspended over his left shoulder. The figure is attached to its original wooden stand. The stand and image are in fine condition and both have a fine patina consistent with a 1920s dating. It is possible that the arrow might once have had a point however.